Earn $2.66 in Rewards credit (266 points) What's This? 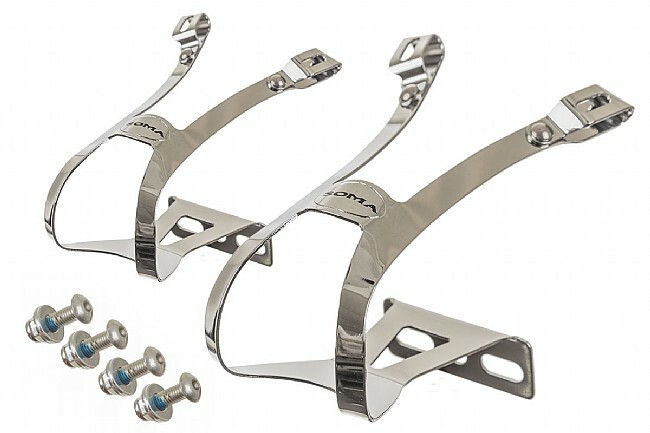 Double gated toe clips add a bit of extra security over traditional designs. Beautiful chromed steel construction. For use with Toe Straps (sold separately). Includes mounting hardware. S/M fits shoes up to Men's 9 and L/XL fits Men's 9 and up.